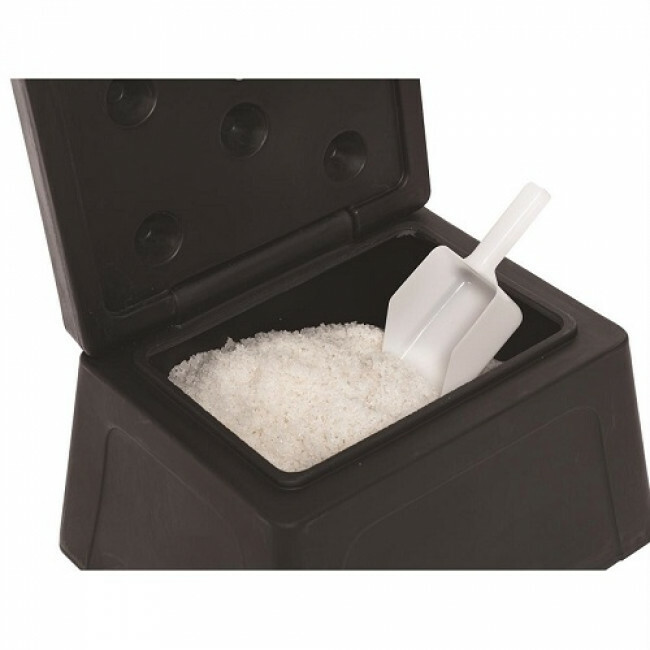 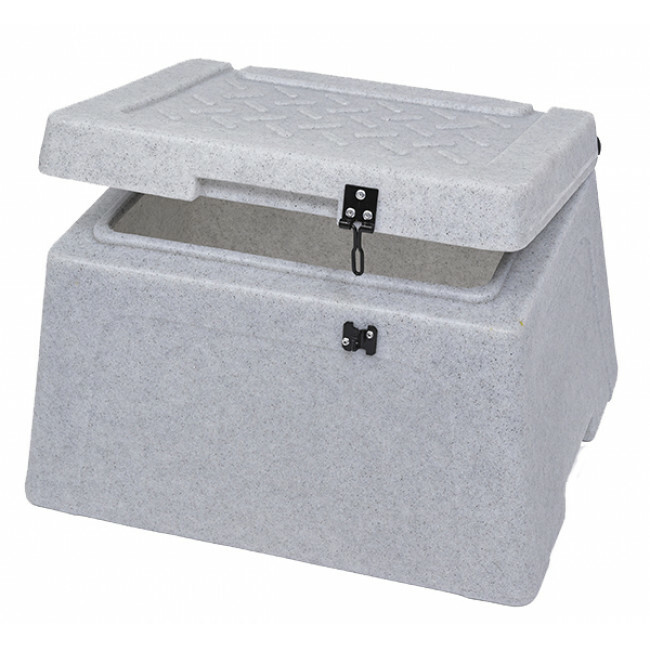 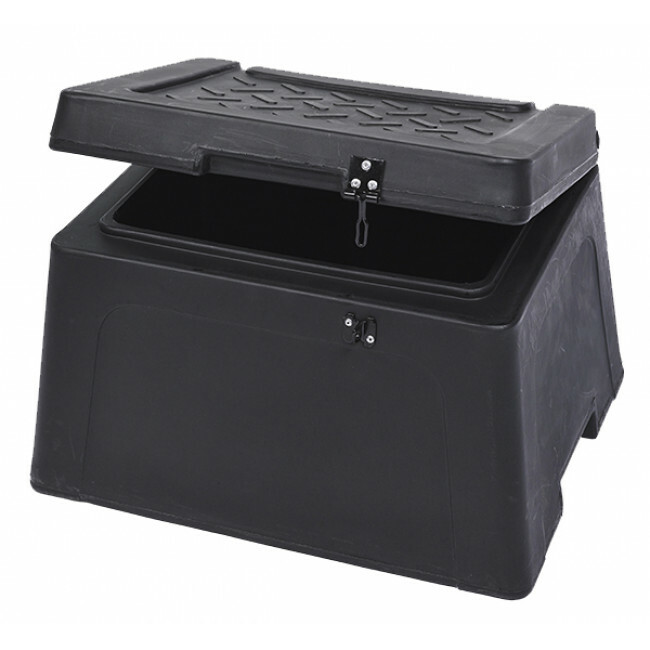 The grit bin is manufactured in the UK using tough and durable MDPE (Medium Density Polyethylene) which allows it to be left outside all year round. 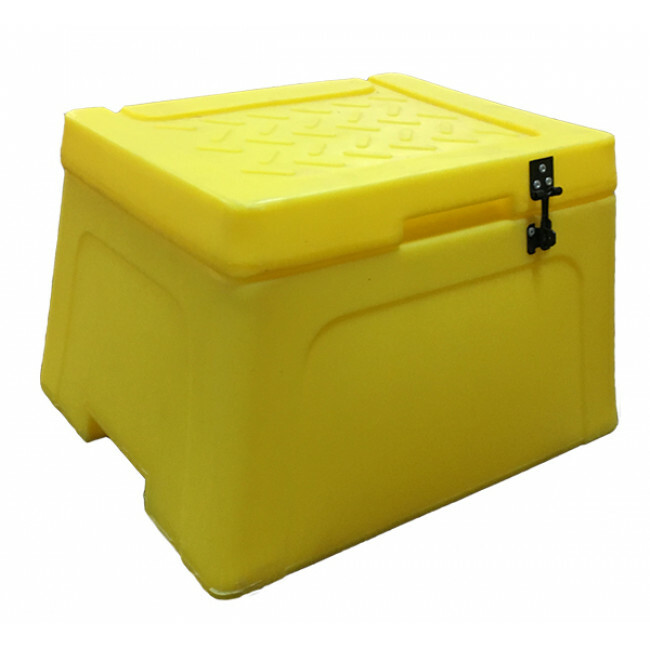 With the addition of a padlock (not included), the hasp and staple provide additional security for the rock salt stored within the grit bin. It is ideal for domestic use in the areas around your home; for example, for clearing paths, pavements or driveways. 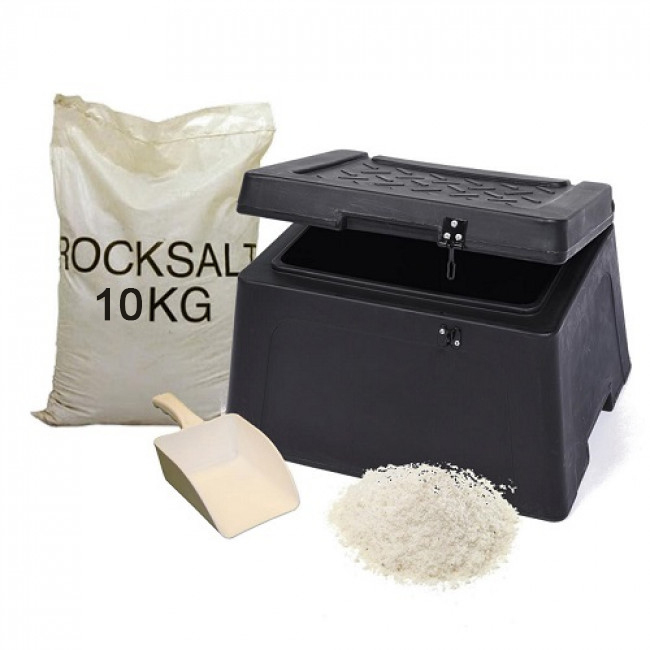 By spreading a small amount of rock salt on your driveway, you can clear any ice / snow and improve the traction levels for your vehicle.